I don’t think that the Bitcoin protocol did (or could do) that; property and possession remain quite distinct in its realm, although property is often very difficult to enforce. As you say, possession is the physical ability to control and use the thing, while property is the legal right to do so. The state decides whether something is your property, and when it passes to someone else. Taking possession of a thing without the state’s agreement — i.e., without becoming its proprietor — constitutes “theft”. In that case the state is supposed to use its power to restore the thing to your possession, and possibly punish the thief. “Ownership”, “owner”, “own” are sometimes used for possession, but usually they refer to property. I will use them with the latter sense only. Knowing the private key to a blockchain address gives possession of the bitcoins stored there, but not ownership. The general rules of property still apply: to become owner, you must create some coins with materials, equipment and labor that you own, discover some that have no owner, or receive them from their previous owner, with his agreement; all with many other conditions and exclusions, taxes, etc.. Thus the notions of property and possession are quite distinct even for bitcoin. The US government has acted on this distinction already, e.g. by seizing the Silk Road bitcoins, prosecuting Trendon Shavers for “misappropriating” bitcoins of clients with his Ponzi scheme, and accusing Butterfly Labs of pocketing bitcoins that they mined using customer equipment. All crypto assets are essentially bearer assets. To own it is to possess the key. Even with bearer assets the notions of property and possession are distinct; one can be prosecuted for the theft (taking posession) of bearer bonds or cash that are someone else’s property. Bitcoin, like cash, only makes it more difficult to prove to the state that a theft occurred, and to catch the thief; but that does not mean that property has been reduced to possession. In the early years of bitcoin, one could perhaps have believed that bitcoins would be outside the scope of the concept of property — like inventions and songs used to be, until the recent transformation of copyright and patents into “intellectual property”. However, even before the legal cases above, Mt GOX and many other cases made the community recognize the concept of “bitcoin theft” — and therefore the notion of property distinct from possession. The shift from bearer, to registered, to dematerialized, and back to bearer assets is like civilization going full circle, as the institution of property evolved from legal right (possession of property) to the registered form (technical ability to control) that predominates in developed countries today. I don’t think that the shift from material to dematerialized assets implied the weakening of the concept of property. On the contrary, dematerialized assets became possible only after society invented the concept of property. In fact, dematerialized assets are simply the rights of property of other things, as recorded in some “official” registry recognized by the state, and only as long as those records are changed in ways admitted by the state. Private blockchain keys are like the keys to a car, in the sense that the person who has the keys in hand can take possession of the car. But the keys do not define the property of the car, which is determined by car documents and records issued and kept by the state. Complementing the analogy: the blockchain protocol is therefore not the analog of the car ownership documents and records, but more like the door lock mechanism: a blind device that will only give possession of the car to whoever has the proper key, and thus usually makes theft more difficult; but it does not define property. In fact, the door lock sometimes may even hamper the restitution of the car to its rightful owner. And replacement of the door lock (analog of moving bitcoins to another address), by the owner or by a thieff, has no effect on the car’s ownership. by building a blockchain tree (called a “parent”) [ … ] These blockchain trees are simultaneously built and elongated by each machine based on previously known validated trees, an ever growing blockchain. There may be some confusion here perhaps. A Merkle tree is a very general concept: it is a set of data records (or “blocks”), where each record contains, among other information, a cryptographic signature of the contents of some other record, its “parent”. These signatures tie the records in such a way that, if one wants to change the contents of one record, one must recompute all the signatures contained in all the records that are downstream of it. It is called a “tree” because a record may be the parent of two or more other records, thus a fork of the tree. The Bitcoin blockchain is a special case of a Merkle tree. It forks only “accidentally”, and when it does one of the branches of the fork is usually very short, quickly dies, and becomes completely irrelevant. Thus it is a basically a linear chain (a Merkle chain) or records, rather than a bushy tree. There have been proposals to change the Bitcoin protocol to use a “bushy” Merkle tree instead of a linear chain. That would make some operations much faster and less wasteful of bandwidth and memory. However, there is so much software out there which depends on the current structure, that such a radical change is highly unlikely to be implemented. Bushy Merkle trees have been proposed also for other uses, e.g. as a way for exchanges and similar places to demonstrate that they have all the bitcoins that they are supposed to have. But those uses are not part of the Bitcoin protocol. The blockchain only forks when (1) some bug is found in the protocol, that requires discarding all blocks since the first bad block, and replacing them with a new set of blocks, starting at that point, re-processing all transactions again if possible. Or, (2) when two miners succeed in mining the block N+1 nearly at the same time, and each broadcasts his version of that block without seeing (or acknowledging) the other. Then all the miners may choose either version as the parent for their block N+2. Thus the two branches may grow independently for a while, but at some point one of them will get defintely longer, and then all miners will have to continue extending that branch. At that point the shortest branch will become irrelevant and the blockchain will again become a linear chain. So, maybe you want to avoid mentioning Merkle trees at this point, and pretend that the blockchain is just a chain that grows orderly, one block at a time. Those accidental branchings are relevant later, for the discussion of double spending and other possible faults/attacks. “The computers that comprise the Bitcoin network are constantly communicating in peer-to-peer fashion, sharing their known versions of the blockchain and checking each other’s work. The nodes strive to reach a consensus — which is defined as the longest version of the blockchain where each block contains only valid transactions and the correct signature of the previous block. Any side branches that are not part of the longest chain are ignored (and their blocks are called ‘orphans’). As of this writing, the height of the longest chain has just over 311,000 blocks. Rather: “As of this writing, the length (or, in bitcoin jargon, the ‘height’) of the consensus chain was over 311,000 blocks. Are there changes in the volume of retail transactions through Bitpay this past year? A couple days ago I noted that because Bitpay reuses its addresses, it is possible to monitor them and that there hasn’t been much of a growth since May (the last time they announced numbers). The green line on this graph shows the number of payments per day into the presumed (see below) receiving address of BitPay, from 2013-01-01 to 2014-11-3. Note that the vertical axis uses log scale. The number was about 1000–1500 per day through most of 2014, with a strong weekly pattern. The spike at the right end is Black Friday; there were about 3200 inputs, i.e. about 2x to 3x as many as in a typical day. The green line on this graph shows the number of BTC deposited each day into that wallet. This graph is rather strange since the number is practically constant since January 2013, about 500–1000 BTC/day, and shows no weekly pattern. And no Black Friday spike either. What happens is that there are two kinds of inputs to that wallet, which I will call “retail” and “wholesale” (although I have no idea what the latter are, really). The wholesale inputs are large (often hundreds of BTC) and have been regular in amount since 2013-01. The “retail” ones are much smaller (mostly under 10 BTC, many under 1 BTC), much more numerous, and have increased about 3x from mid-2013 to mid-2014. Hence the first graph above is dominated by the retail inputs, while the second graph basically shows the wholesale ones. 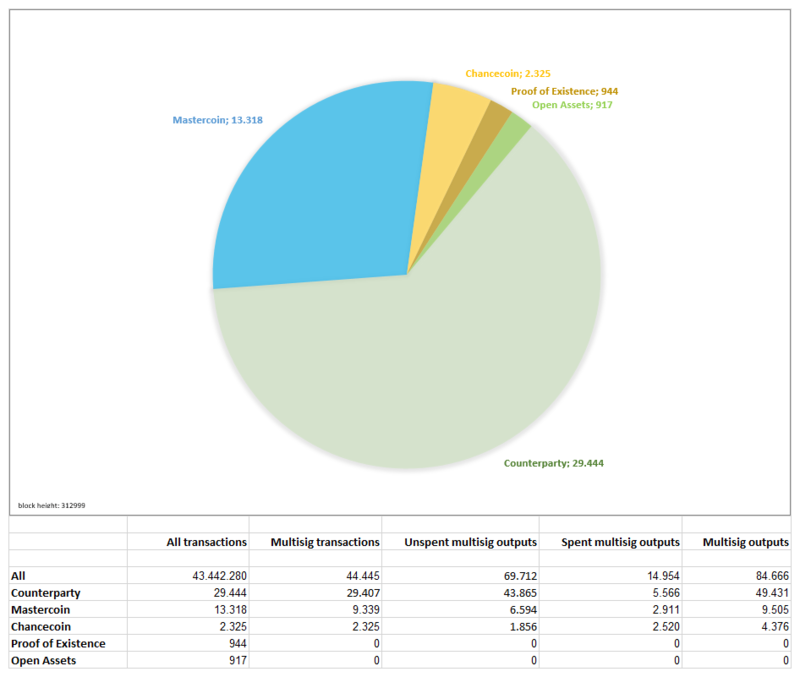 The data for these plots comes from these pages that are claimed to show all transactions into the BitPay receiving wallet since it was created. However, the addresses that make up that “wallet” were inferred from the blockchain by an undisclosed heuristic that is supposed to identify addresses belonging to the same owner. My guess is that the heuristic simply assumes that two addresses that are inputs to the same transaction must belong to the same owner (since one needs both private keys to sign the transaction) and assigns them to the same “wallet”. If my guess is correct, the heuristic may fail to include in the “Bitpay.com wallet” some addresses that belong to BitPay but were never used together with the identified ones. However, the volume of BTC that went into that heuristic “wallet” during May/2014 seems to match what BitPay said to process per day in that month (assuming that they picked the best day of May); so it seems that the heuristic wallet is fairly close to the real one. Tonight I had the pleasure to moderate a panel at the new Blockchain University developer seminar. Panelists included: Tom Ding from Koinify, Ryan Charles from Reddit, Ryan Smith from Chain and Atif Nazir from Block.io. Special thanks to Christian Peel, Zaki Manian, Sri Sriram and Robert Schwentker for organizing it. The basic idea of Blockchain U is to provide hands-on practical knowledge to not only understand the nuts and bolts of what a blockchain is and how it works, but to be able to build apps in this ecosystem (such as a block explorer, wallets and anything that can plug into an API). If you’re a software developer, even in the Valley, there are few physical locations you can visit to get hands on practice and feedback in building decentralized applications. Blockchain University is hoping to bridge that chasm, by providing interaction with industry entrepreneurs and developers who are bringing their on-the-ground experiences into an accessible classroom format. Does spending decrease as purchasing power declines? Last year Peter Coy illustrated what a deflationary economy looks like (such as the Bitcoin economy) and explained how this impacts consumer spending (and lending). Depending on what peak someone may have bought at, the very reverse happened this year, with prices denominated in bitcoin rising by perhaps as much as 65% (a full analysis should probably also adjust a couple percent to include CPI). Though, to my knowledge there are no products actually denominated in bitcoin (yet). So then, did spending habits change over the course of the year? Not really, users as a whole still preferred to simply hold onto coins either because they had low time preferences with future expectations of large price appreciation and/or they were ‘underwater’ in coin (e.g., they bought at a peak). Off-chain transactions on Coinbase did not see much of a difference (yet) either. Economic theory suggests that consumers prefer a medium of exchange with stable purchasing power and in practice that seems to be the case. 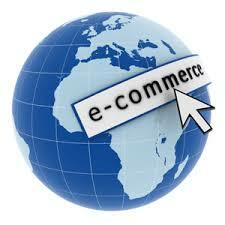 For instance, on January 9, 2014 online retailer Overstock.com began accepting bitcoin as payment. In the first two months it generated $1 million in bitcoin payments and through May the tally had grown to $1.6 million in bitcoin payments. The figures are notable given that the e-commerce company had issued a wide range of potential estimates for its first-year bitcoin sales over the course of the year. 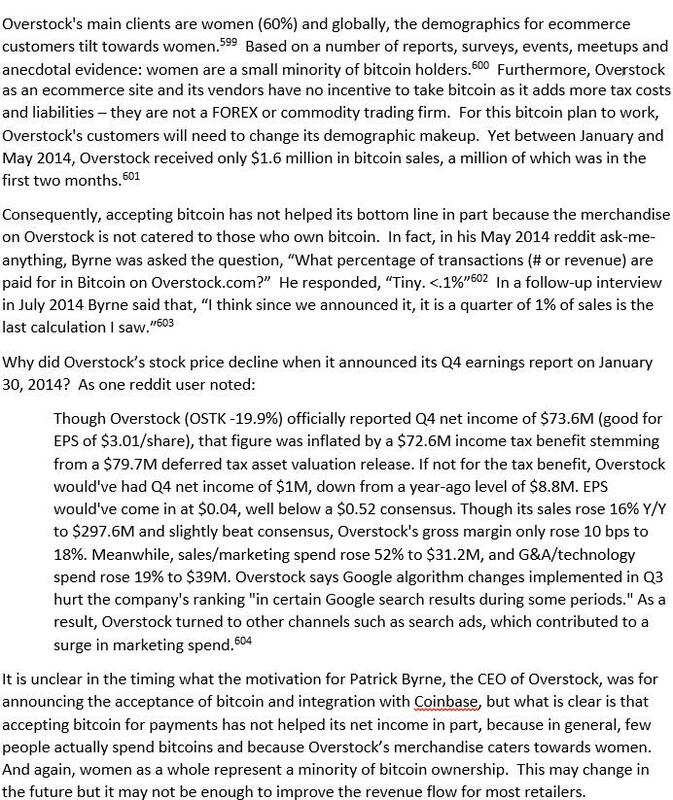 In March, CEO Patrick Byrne suggested Overstock was on pace to achieve $10m–$15m, or even $20m, in bitcoin sales. Such estimates were also below the $5m Byrne said Overstock originally anticipated, though on par with those suggested by Overstock chairman of the board Jonathan Johnson in interviews. Altogether approximately 11,100 customers paid with bitcoin this past year at Overstock — these customers spent an average of $273 in bitcoins. That means that after the initial power law from the first couple months, roughly $200,000 in bitcoin sales occurred from March onwards, or roughly $6,700 per day. If bitcoin denominated prices had stayed the same, would that have increased the amount purchased? Perhaps, but as articulated by both Robert Sams and Yanis Varoufakis, bitcoin stability is perpetually ephemeral and perhaps the only solution is to switch the monocoin ledger and adopt a dual currency ledger design instead (a topic for another day). Besides a decline in purchasing power, is there anything else that may have caused this? In chapter 11, pages 181-182 I explored another reason (see this image): demographics. Most (60%) of the customer base of Overstock are female and as we know empirically, there are very few females that inhabit the Bitcoin ecosystem. Perhaps this will change in time, so what are other datum in this exhibit? At present we do not accept bitcoin payments directly, but use a third party vendor to accept bitcoin payments on our behalf. That third party vendor then immediately converts the bitcoin payments into U.S. dollars so that we receive payment for the product sold at the sales price in U.S. dollars. We have also begun accumulating bitcoin in an amount of approximately 10% of the amount of our bitcoin-denominated sales as well as other cryptocurrency. We hold cryptocurrency denominated assets such as bitcoin. We currently consider these holdings to be investments and include them with other long-term assets in our Consolidated Balance Sheets. Cryptocurrency denominated assets were $346,000 and zero at September 30, 2014 and December 31, 2013, respectively … Losses on cryptocurrency holdings were $50,000 during the three and nine months ended September 30, 2014. There were no losses on cryptocurrency holdings for the three and nine months ended September 30, 2013. Or in other words, Overstock.com sells all but 90% of the coins it receives and puts the remaining portion onto its books as an investment, which saw a loss of $50,000 through Q3. Perhaps this reverses next year if there is another run up in prices. In addition, the coin sales created (a marginal) sell side pressure on the market through the intermediary, Bitpay, the largest payment processor in this space. BitPay, the largest and oldest bitcoin payment processor with a daily volume of $1 million bitcoin transactions supporting more than 44,000 merchants, stated in an email exchange to CCN that more than 4,400 of their merchants keep all of their settlement in bitcoin, almost 18,000 keep some of their settlement in bitcoin while the remaining 22,000 convert it all to fiat. Because of the ecosystem still lacks a ‘circular flow of income,’ in return Bitpay sells these coins to other inventory providers such as financial institutions, family offices and exchanges (detailed here). This further creates sell side price pressure and if there is not a corresponding increase in speculative or transactional demand in bitcoins, effectively lowers the purchasing power of a coin. For instance, last Wednesday, December 10th, Microsoft announced that it had added bitcoin as a payment vehicle for games and apps. The price rallied 10% in the course of an hour yet subsequently declined to pre-rally prices. Why? As analyst Raffael Danielli explained to me, on the one hand, Microsoft under the new CEO — Satya Nadella — seems to push deliberately into areas at the forefront of the tech sector. Accepting bitcoin is an item on their list that can easily be implemented and subsequently crossed off (e.g., a cheap point in terms of risk / reward due to the usage of an intermediary). On the other hand, if people are less willing to spend Bitcoin while ‘underwater’ this can lead to more ‘bad’ news regarding a lack of consumer adoption. For example, one could see a correlation between Xbox One’s less-than-stellar sales and losses against the Playstation 4 (PS4 is outselling 2:1), versus the need to get some kind of PR spark before the Christmas shopping spree. Similarly Time magazine’s announcement today probably will only produce a temporary marginal increase in bitcoin activity and was likely done with similar motivations (positive PR before holidays) because Time been hit hardest (it’s 2012 sales of single-issue copies declined 27%, the most across the entire industry and it laid off 5% of its workforce in early 2013). Perhaps market participants as a whole see this too or perhaps they recognize that even if there was an upsurge in bitcoin usage to Microsoft product lines (which we can monitor as Microsoft is using Bitpay), those coins will ultimately put sell side pressure because there is no circular flow of income. And again, without a corresponding amount of speculative or transactional demand, the price of a bitcoin could decline as would its purchasing power. There is never a dull moment in this space, perhaps 2015 will create new patterns to analyze. Note: in order to listen to the webcast archive you have register for the event. 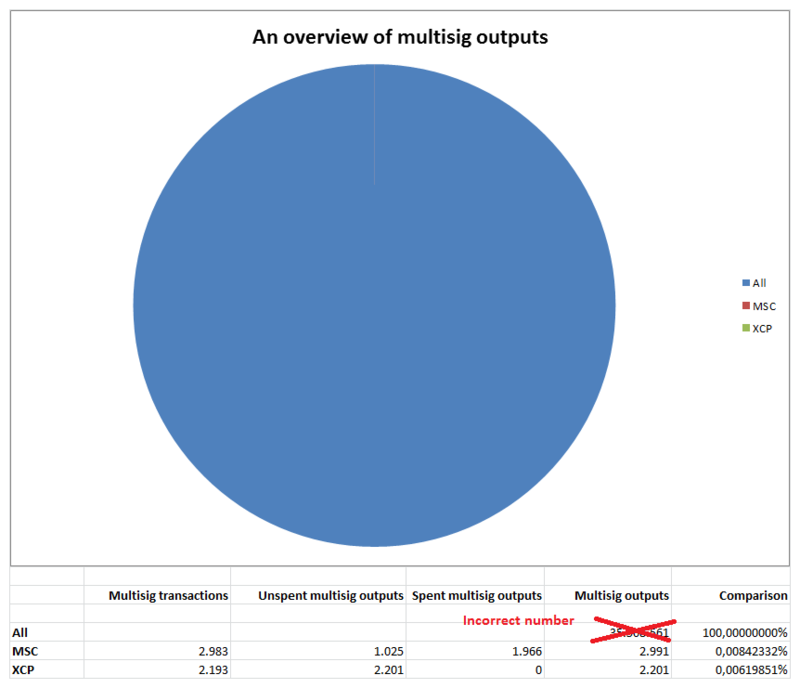 I think it is probably more accurate to say that according to the Bitcoin Distribution Chart, that there are roughly 250,000 to 500,000 ‘individuals’ controlling “wallets” (there really is no such thing as a wallet with respect to the Bitcoin protocol) with more than 1 bitcoin. The vast majority of the rest are probably categorizable as unclaimed tips, ‘dust’ (originally less than 5460 satoshi, now less than 546 satoshi), purposeful spam for research (taint analysis), etc. Also (and I’m at fault for doing it too), we probably should stop using the word “liquidity” when more accurate words are probably velocity or movement. Liquidity has a different meaning in the financial markets. Earlier today I gave the following presenation at the R3 Cryptocurrency Round Table in Palo Alto. It covers “Bitcoin 2.0” ideas including alternative consensus mechanisms, costs of operating decentralized ledgers, use-cases for these new ledgers within existing financial institutions and potential hurdles including disproportional rewards. Last Saturday I moderated a panel at PubNub for the 1 year ‘Dogeversary’ — the anniversary of Dogecoin. Panelists included Marshall Hayner, CMO of Block.io and David Dvorak, CTO of DogeTipBot. Note: I don’t own any dogecoins and actually explained a hashrate vulnerability it had back in May (which they’ve at least temporarily rectified through ‘merged mining’ (AuxPOW) with Litecoin). Panel starts at 1:33:32 but the sound quality doesn’t (marginally) improve until 1:36:42 (so start there) and ends at 2:17:00. I have a couple new articles published over the past few days. The first one, “The Rise and Rise of Lipservice: Viral Western Union Ad Debunked” is over at CoinTelegraph and deals with the remittance industry. Note: my original title included just the first 6 words, CT added the remainder including “debunked” which is probably apt. Why spend time writing about this? Because it is increasingly clear that keynote speakers in this industry are factually wrong about many things, including the various margins that money service organizations (MSO) like WU have. For instance, yesterday there was a really good thread on reddit that broke down the erroneous claims from Andreas Antonopoulos regarding the margins that WU and others have, it is wrong by an entire order of magnitude. 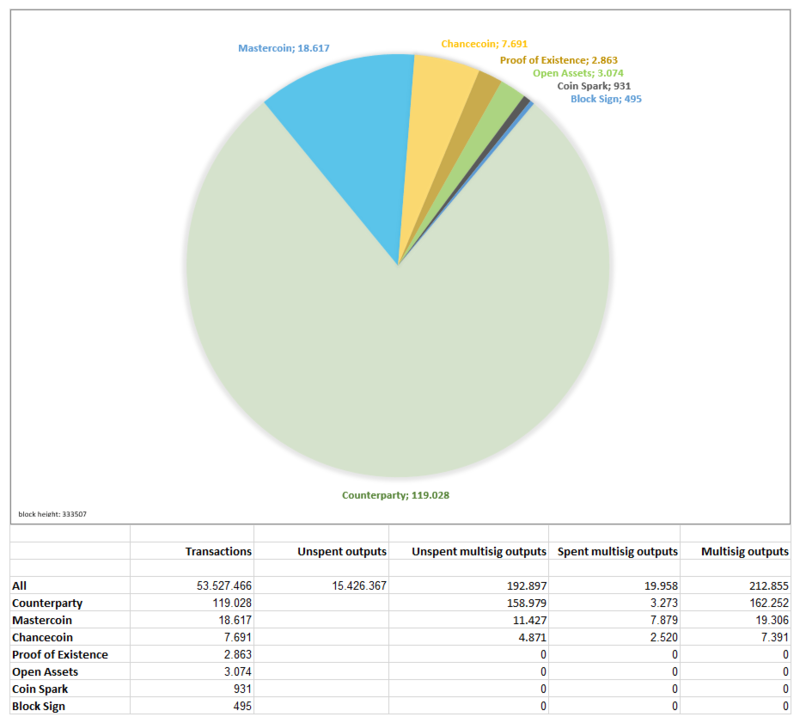 The second article is, “Too Many Bitcoins: Making Sense of Exaggerated Inventory Claims” at CoinDesk. Note: original working title was “Where is the inventory? Making sense of disaggregated inventory pools and financial controls” — I do have to say I like the CD editors choice, it’s much better! Over the past year as I conducted interviews for my research I would often hear stories of how such and such owned X amount of bitcoins. In just a six month period it became pretty clear that someone somewhere was embellishing because there just aren’t that many bitcoins around. This was especially true once you start hearing rumors of the amount of bitcoins that large holders in China claim to have. Which side of the Pacific is exaggerating more? While an imperfect facsimile a UTXO (unspent transaction output) or bitcoin, is not equivalent to equity. Remember, pre-Artforz, miners and hashers were one and the same, so a DMMS was not a farm or pool back then as it is today. Some of these exchanges started within a niche such as futures speculation. For example, Bitfinex originally shared (mirrored) the Bitstamp order book and later, after growth, established their own thereby allowing their customers to partake in price discovery through the spot market (e.g., providing bids and asks). Others such as Coinbase effectively operate what Coindesk calls “a Universal” — that is as a hosted wallet, merchant processor and exchange — albeit without a users ability to speculate on the bid/ask of a token (in most cases Bitstamp acts as their liquidity provider who in turn receives coins from miners and so on). This year alone, several exchanges have been hacked and/or customer funds were stolen by insiders, including Mintpal, BTER, CoinEx, Coinmarket.io, Neo & Bee (it wasn’t an exchange per se, it collapsed too soon to figure out what they meant, if at all, to do) and most prominently, Mt. Gox. Despite a spectrum of counterparty risks and the advent of decentralized and multisig trading (eg the Counterparty DEx and Coinffeine), traders, on the whole, still prefer to use centralized exchanges due to their trading speeds (milliseconds instead of 10+ minutes). The statement: “Also, withdrawal time from an exchange is not necessarily related to the price of bitcoin.” Seem to be out of context. I’d assume it’s about market phenomena – which will move price if people withdraw both btc and fiat positions from exchange. They would either have some very fast cash deposit/withdrawal mechanism to be able to do it daily. Alternatively, at the end of the day, they would convert fiat to btc, and withdraw btc. This would move the price. If fiat positions are not liquidated, withdrawing only btc, will reduce risk exposure to 50% on average. And will create evening & morning blockchain transactions spike – btc from exchange to wallet, and back. I can’t see anything like this happening.